R.W. 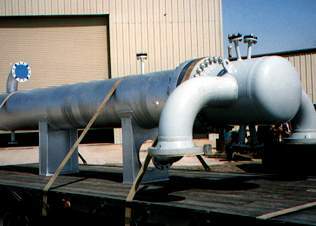 Holland offers the following hairpin, double pipe heat exchanger units. Tank Heating Coils: R.W. Holland's tank heating coils are fabricated with fintubes having the orientation of the fin in the direction of the convection currents in the tank (illustrated below). When the fluid next to the fintube is heated, it rises rapidly due to the lower density. The colder fluid at the top of the tank falls to the bottom, creating a thermosyphon action in the tank. Suction and Line Heaters: The suction and line heaters have high efficiency due to their use of the R.W. 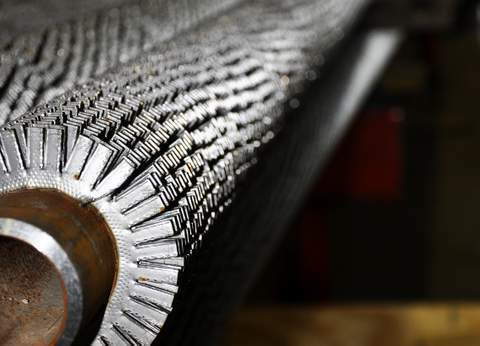 Holland Petrofin Fintube, a longitudinal fintube with the fin's resistance welded to the tube. 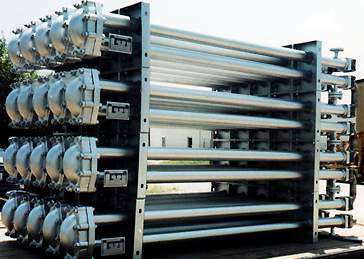 The company uses several different tube and fin configurations to obtain the most economical selection for the specific application. Their use of fintubes keeps a lower metal temperature, which reduces fouling and the frequency of shutdowns for cleaning.